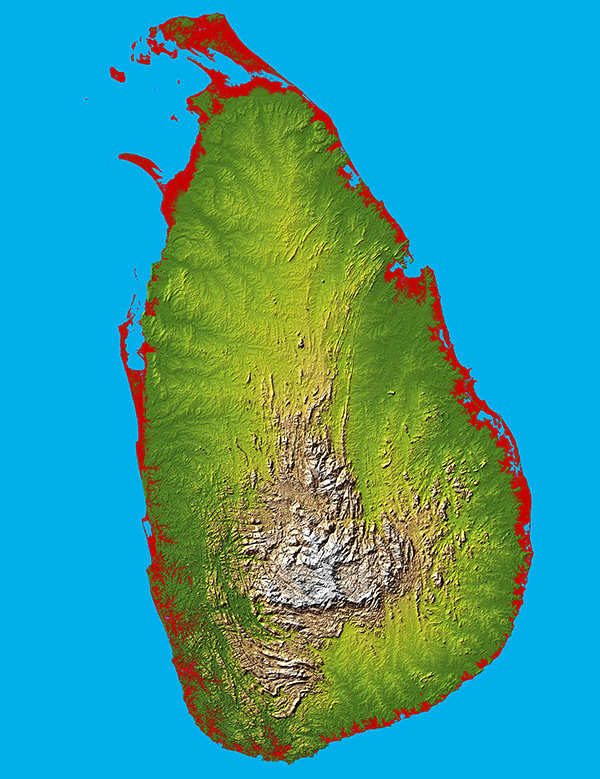 Sri Lanka is an island located south from India, 50 km far from it. Size of it is about 430 x 200 km, population about 20 mln people. It has two climat zones - wet and dry. 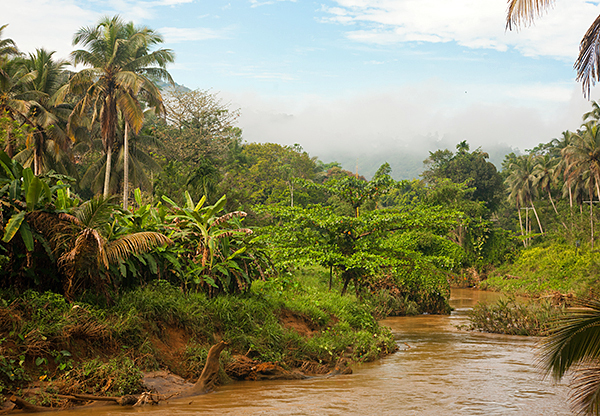 It is famous for endemic animals and plants preserved in numerous national parks. It is also very important source of gemstones, especially sapphires collected in alluvial deposits. 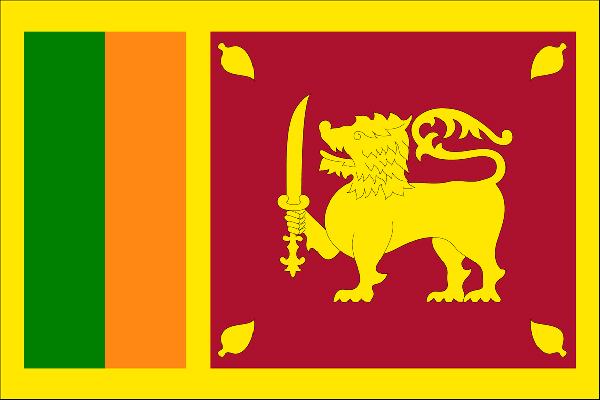 I have been thinking of going Sri Lanka for more than two years. 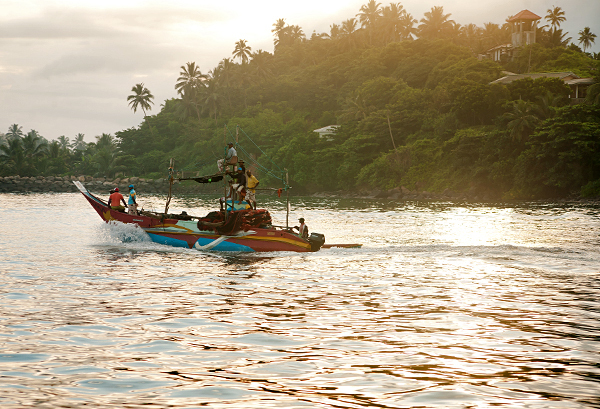 It’s a country whose nature resembles more Africa than Asia, as many people say. I was determined to experience this myself, because observing nature in different places in the world was always my main goal during the journey. Moreover Sri Lanka is known all around the world as a land of sapphires. It was another reason for me to go there. At the end of 2015 I finally got the tickets and a week later my girlfriend and I set off to the unknown. 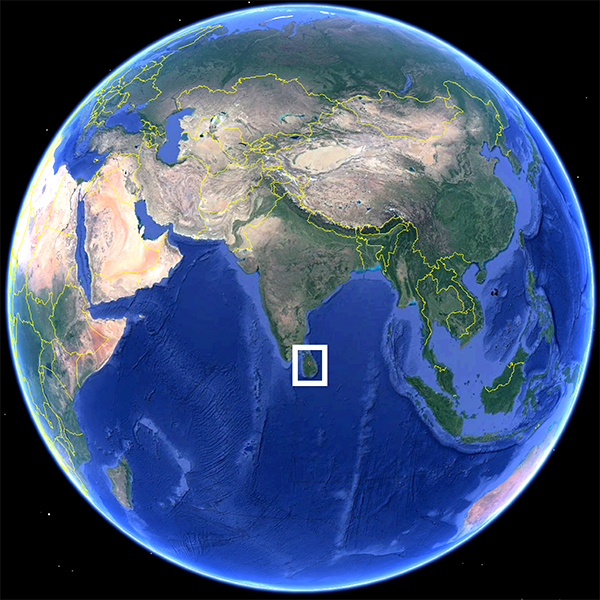 Location of the Sri Lanka island on the map of Asia. Morphology of Sri Lanka island. Map of Sri Lanka with major towns, roads and National Parks. 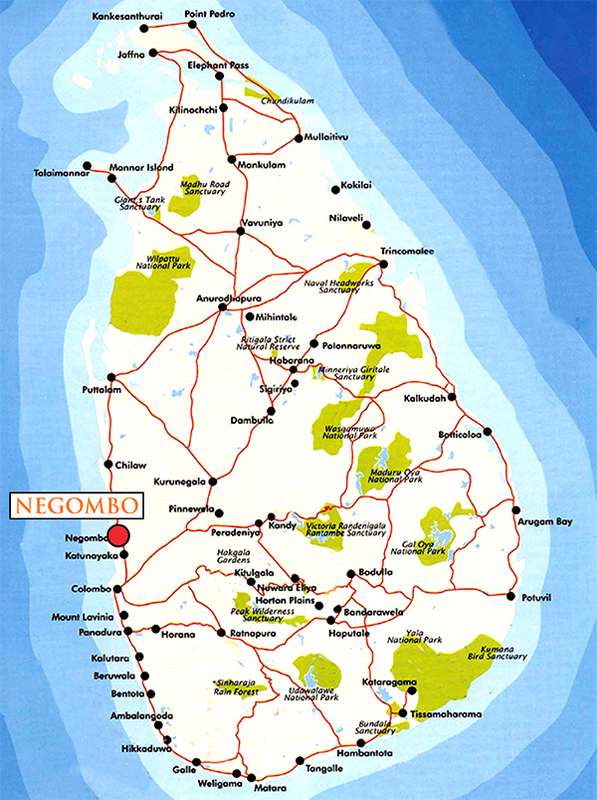 As we didn’t have much time to read through the guide, we arrived at the main Sri Lanka airport, close to Negombo and Colombo without much preparation. From there we immediately started a few-hundred kilometers long bus tour. 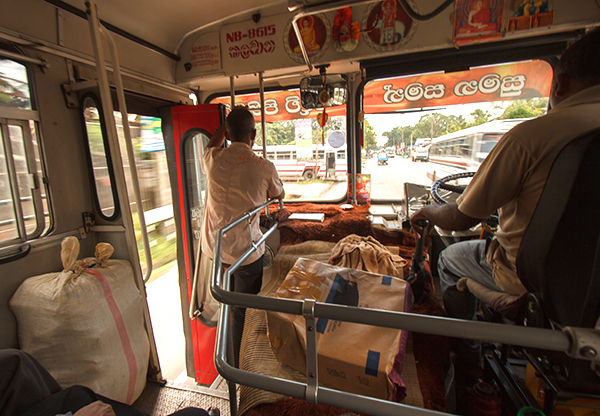 As it turned out later on, bus was not only the cheapest mean of transport, but it was also the fastest. It’s due to the fact that buses do not follow any traffic rules whatsoever. It’s usual for them to be driven with double the allowed speed or overtaking the car between two other cars and pushing them out of the road. In the first bus we chose the front-row seat overlooking the road which turned out not such a great idea for the first time, but we got used to it after a while, the fear had gone and it seemed normal. As we had only two weeks for sightseeing, we arranged our time in such a way that every day we would visit a different place. 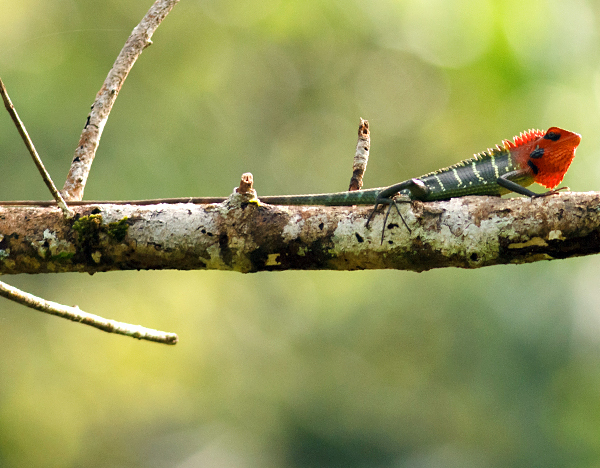 We started with Sinharaja rainforest where we had the opportunity to see beautiful lizards, enormous spiders and divine birds. From the airport we drove to Sinharaja Park with a crazy bus. Our first bus. M. Komorowski photo. 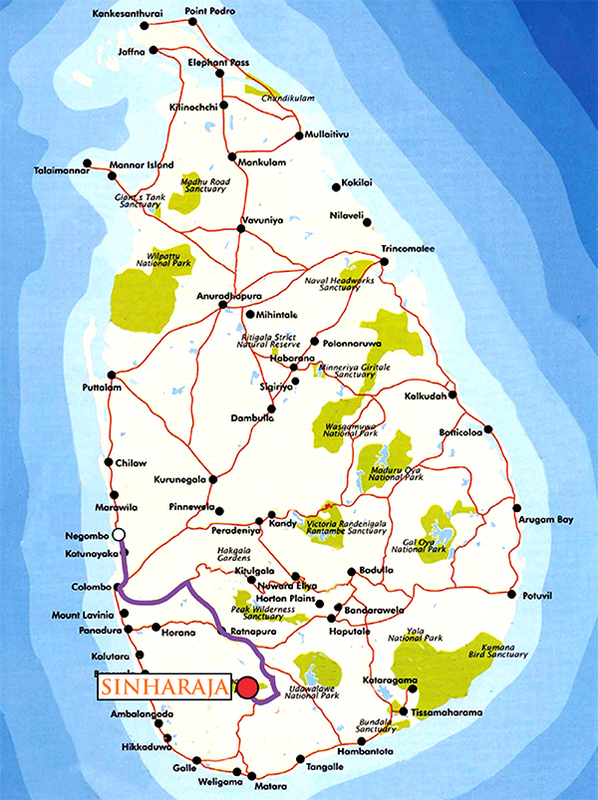 Sinharaja Park. A. Bryja photo. 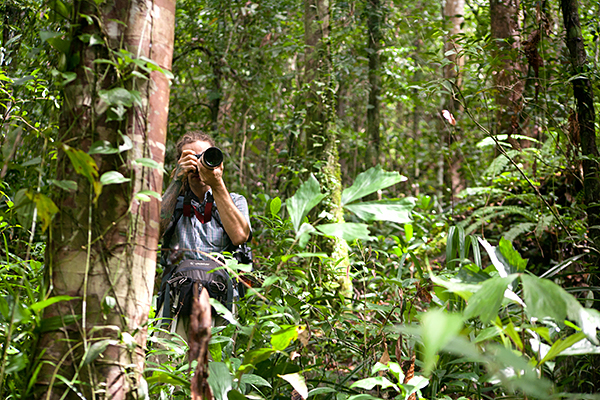 Marek (author) taking photos in the Sinharaja Park. A. Bryja photo. 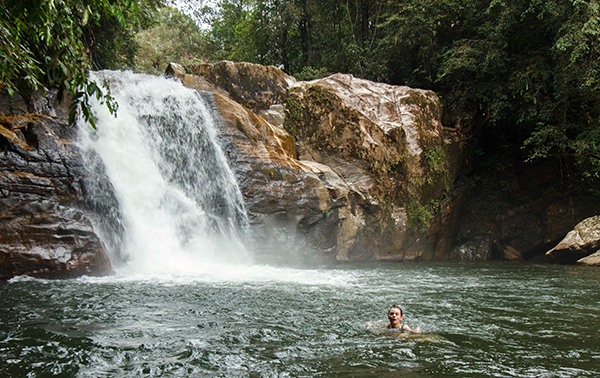 Taking bath in the Sinharaja Park. M. Komorowski photo. Male (small on the back of big one) and female - Golden Orb Weaver. M. Komorowski photo. 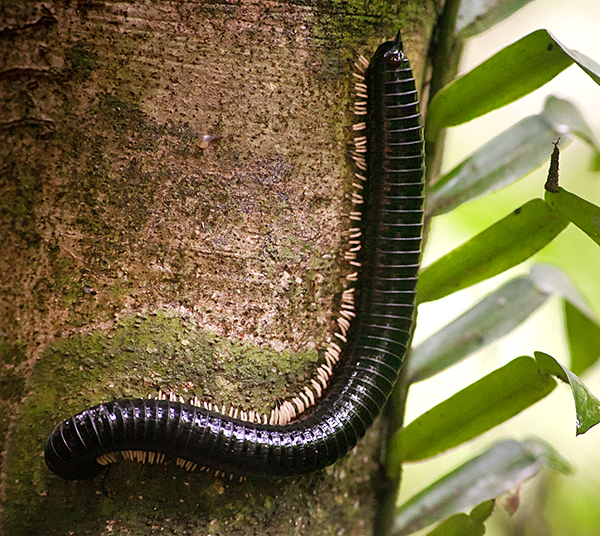 Giant millipede. A. Bryja photo. 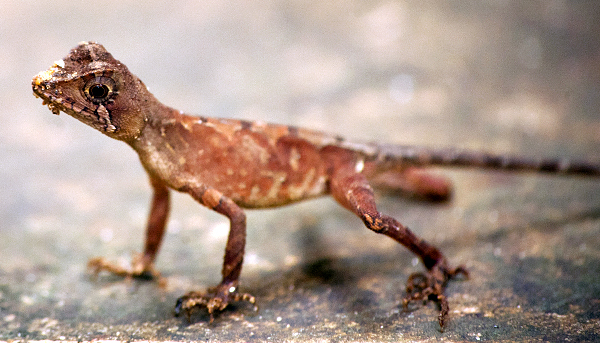 Brown-patched Kangaroo lizard. A. Bryja photo. 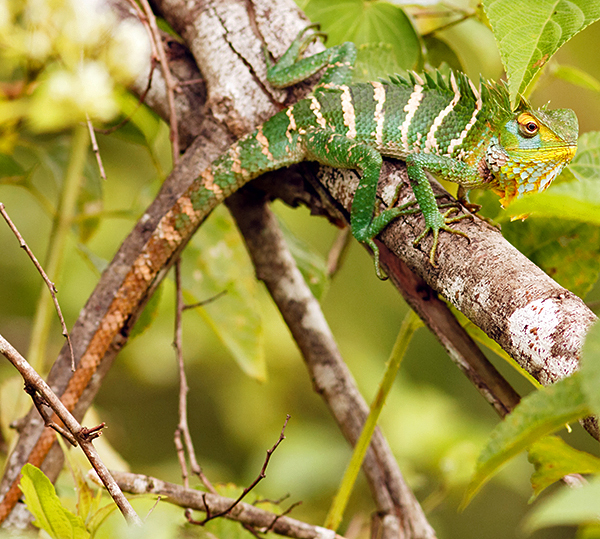 Green forest lizard, Sinharaja Park M. Komorowski photo. 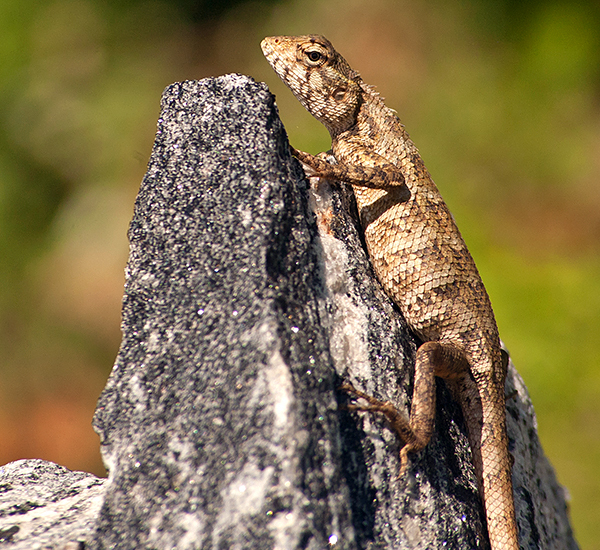 Hump-nosed lizard, Sinharaja Park. M. Komorowski photo. 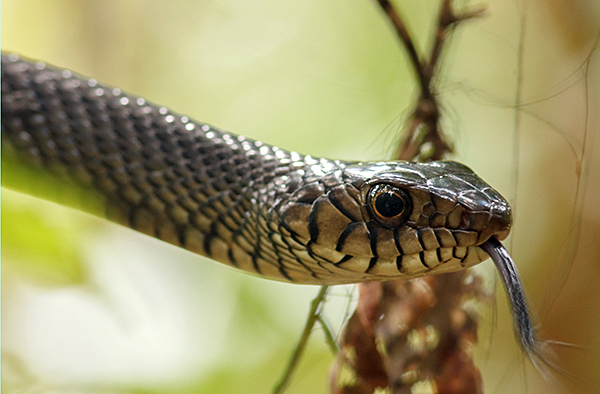 Indian rat snake, Sinharaja Park. M. Komorowski photo. 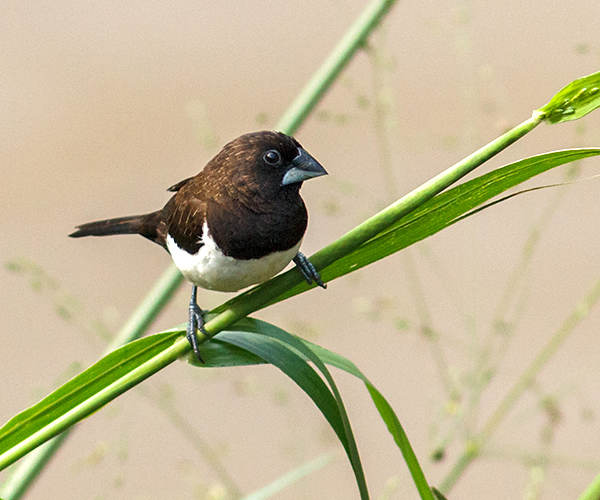 White backed munia, Sinharaja Park. M. Komorowski photo. 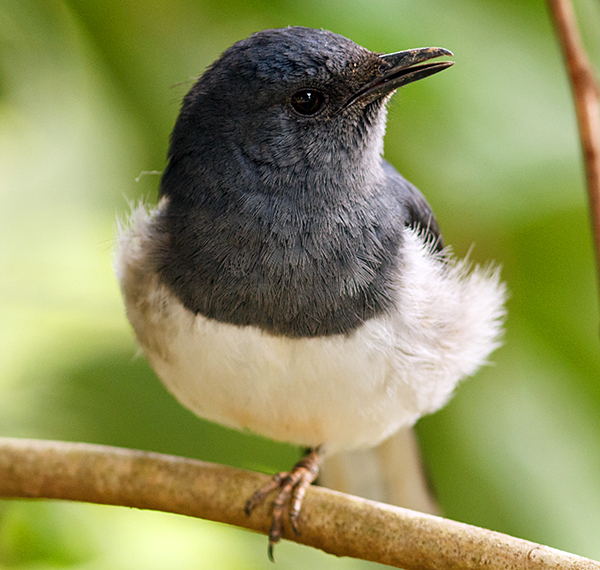 Magpie robin, Sinharaja Park. M. Komorowski photo. 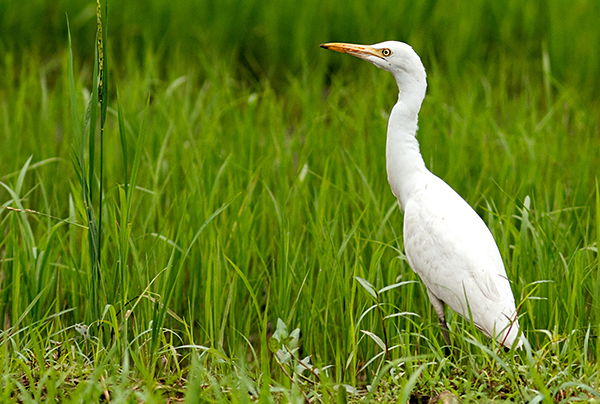 Cattle egret, Sinharaja Park. M. Komorowski photo. 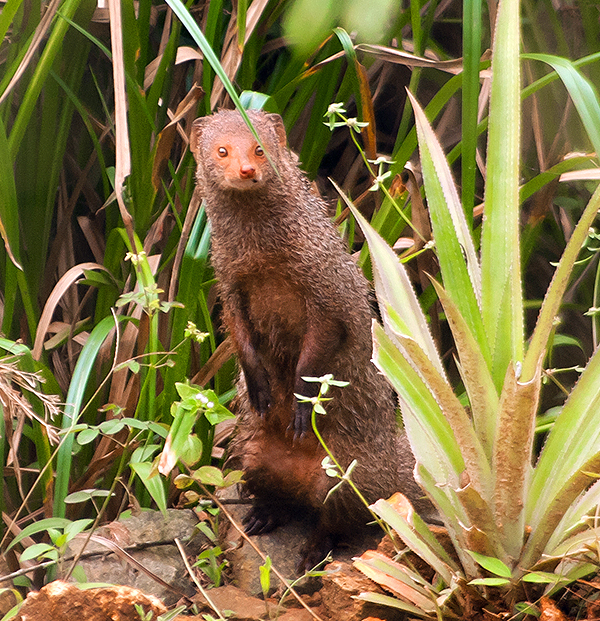 Ruddy mongoose, Sinharaja Park. A. Bryja photo. 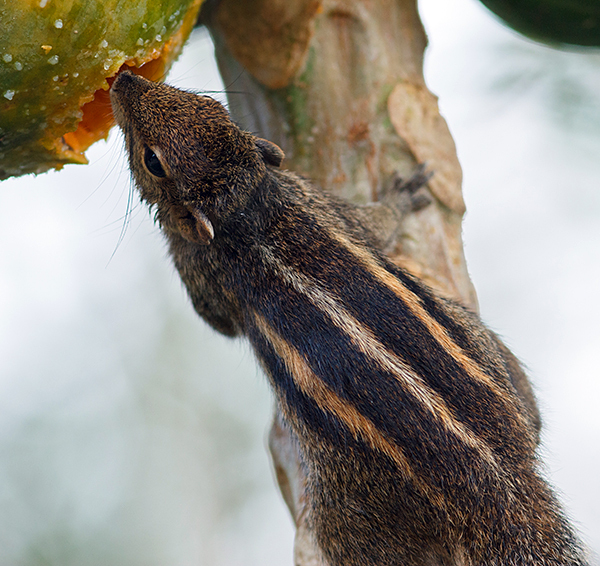 Indian palm squirrel, Sinharaja Park. M. Komorowski photo. 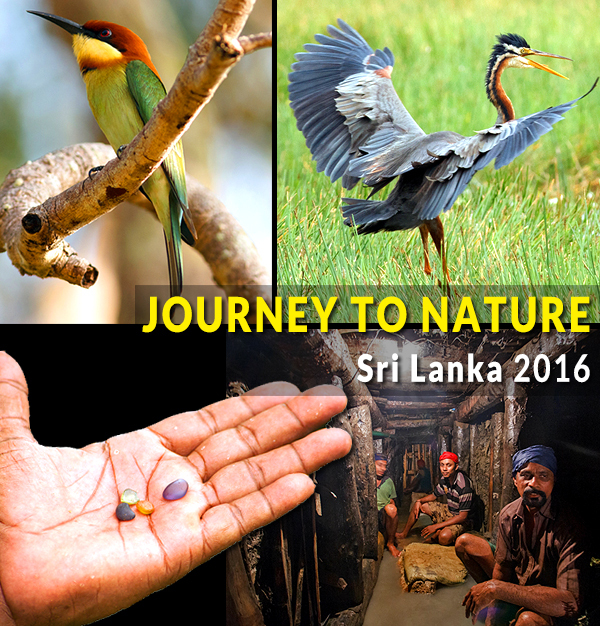 Our next stop was Udawalawe National where you can watch bids, buffalows and the most famous for the Park Sri Lankan Elephants. The next national Park we visited was Udawalawe. 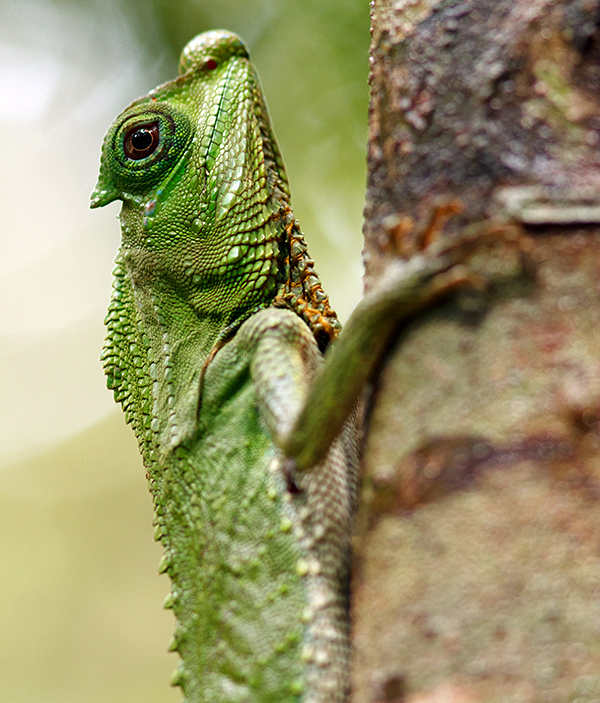 Green forrest lizard, Udawalawe Park. M. Komorowski photo. Little green bee-eater, Udawalawe Park. M. Komorowski photo. 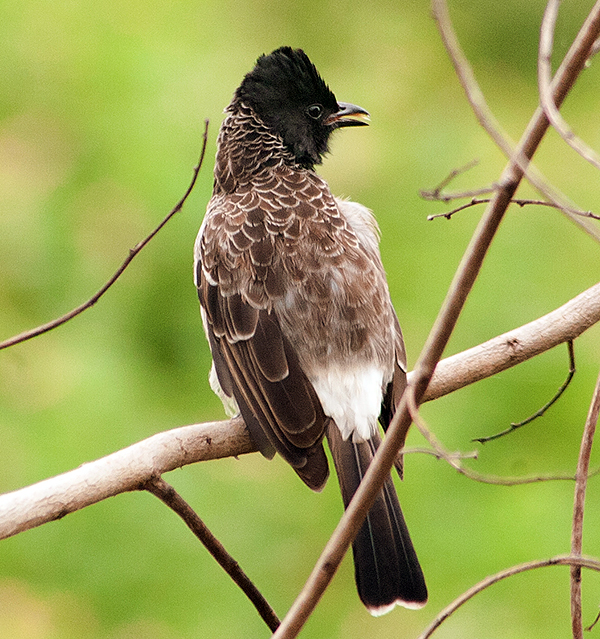 Red-vented Bulbul, Udawalawe Park. A. Bryja photo. 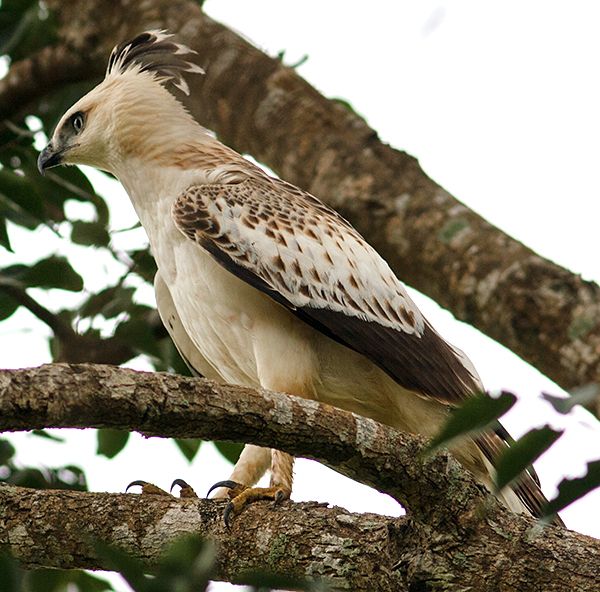 Crested Hawk Eagle, Udawalawe Park. M. Komorowski photo. 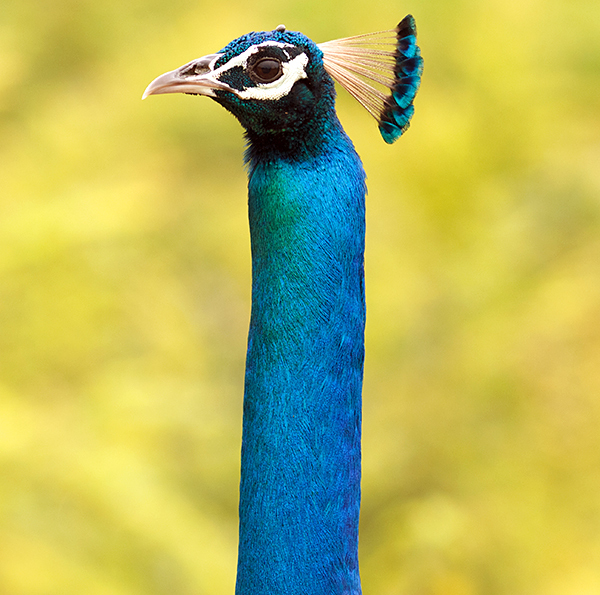 Indian peafowl, Udawalawe Park. M. Komorowski photo. 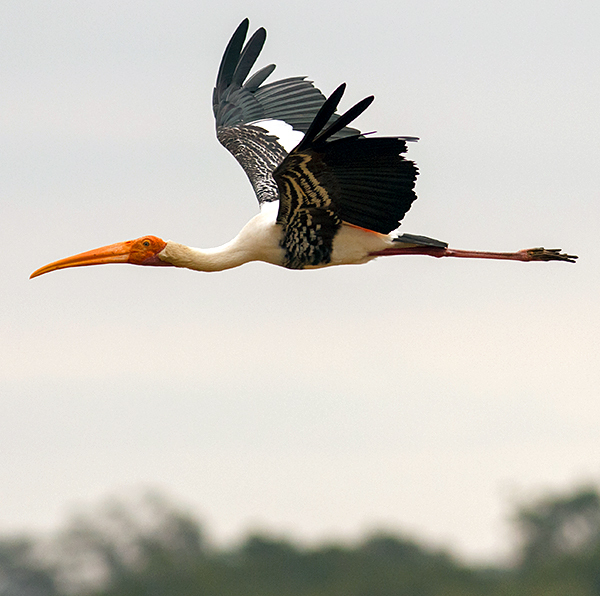 Painted stork, Udawalawe Park. M. Komorowski photo. 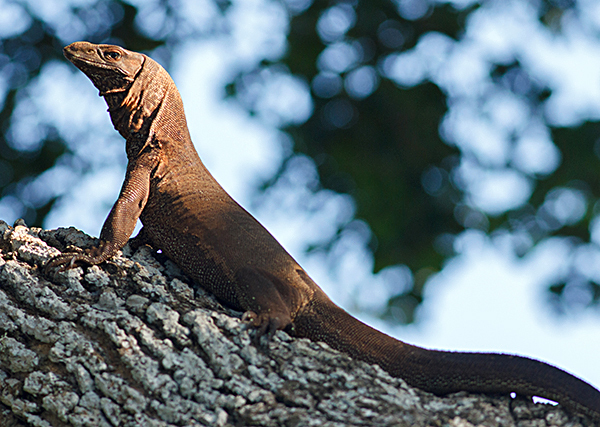 In Udawalawe Park. A. Bryja photo. 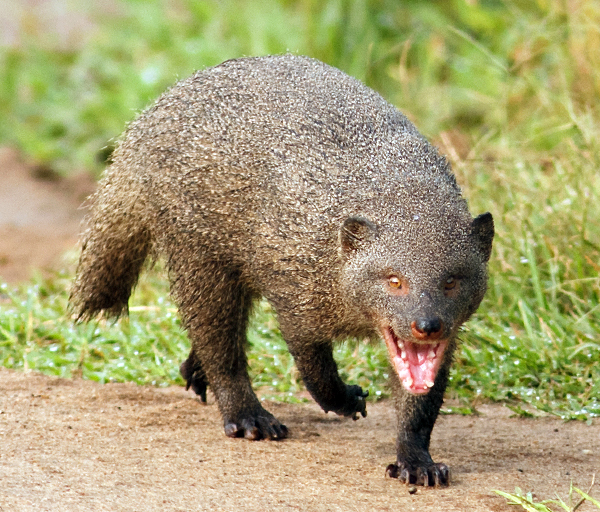 Ruddy mongoose, Udawalawe Park. M. Komorowski photo. 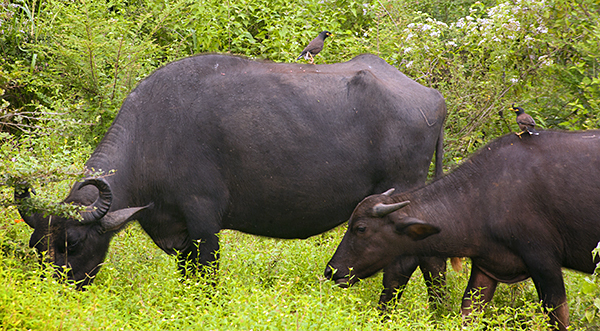 Water-buffalo, Udawalawe Park. A. Bryja photo. Water-buffalo, Udawalawe Park. M. Komorowski photo. Water-buffalo, Udawalawe Park M. Komorowski photo. 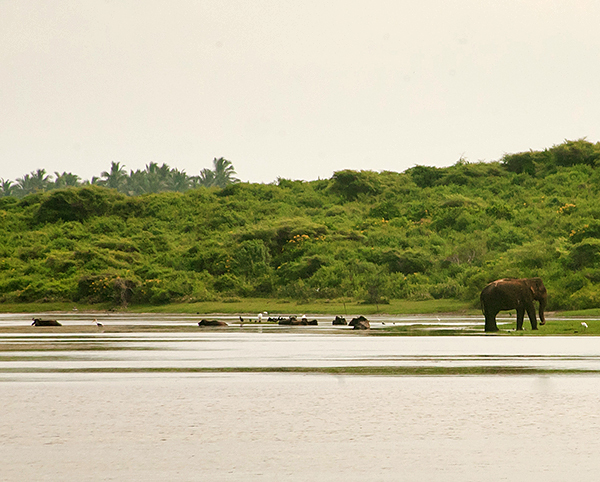 Sri Lankan elephants and Water-buffalos, Udawalawe Park. A. Bryja photo. 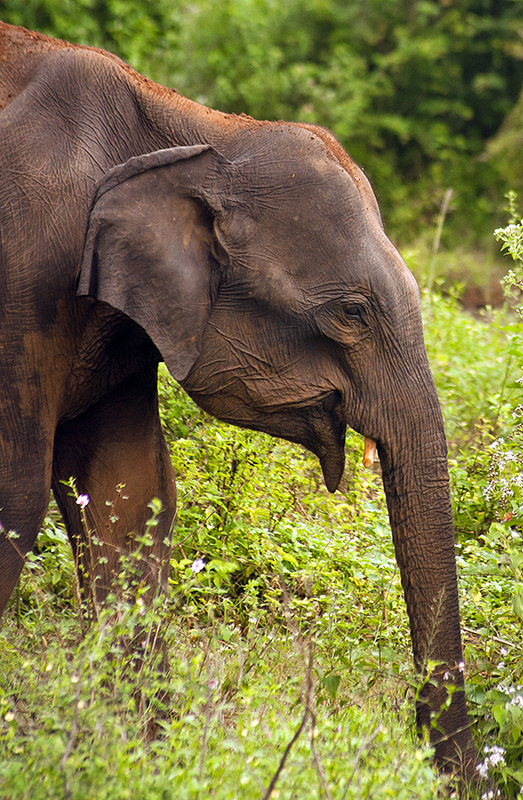 Sri Lankan elephant, Udawalawe Park. A. Bryja photo. 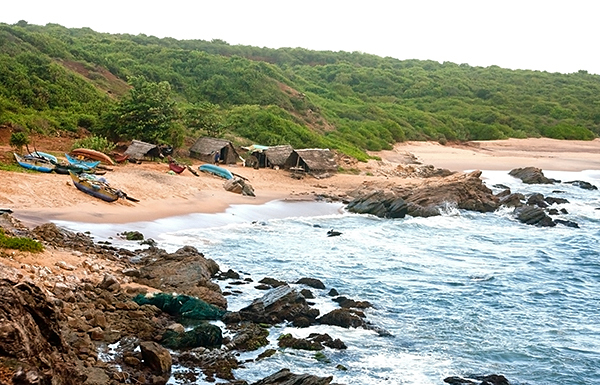 The same day we visited the Udawalawe Park we drove to the coast (Mirissa) and we took a few hours long boat trip during which we watched the biggest mammals in the world - the blue whales, their smaller brothers - fin whales and pods of dolphins and flying fish that swam past our boat. 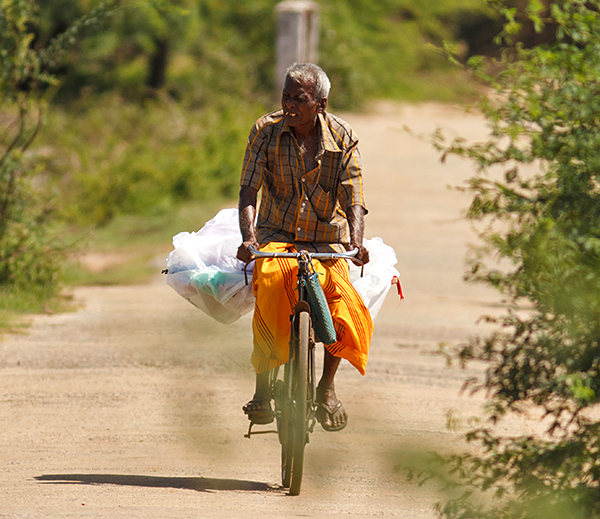 Road from the Udawalawe Park to the coast. Mirissa in the morning. A. Bryja photo. 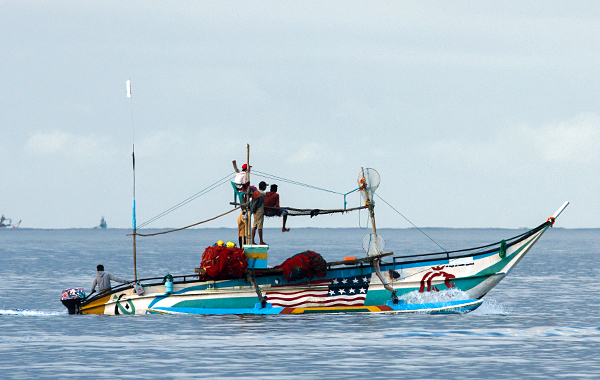 Boat near Mirissa. M. Komorowski photo. 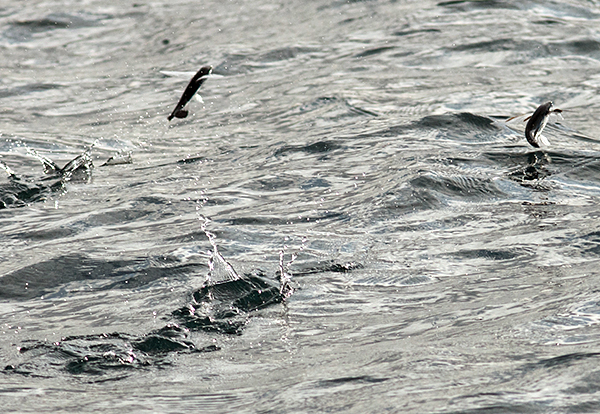 Black sail flyingfish. M. Komorowski photo. Spinner dolphins. A. Bryja photo. Blue whale. M. Komorowski photo. Sunrise on the coast. A. Bryja photo. It was an intensive day - finally in the evening we reached Rekawa Beach, the place where one can watch sea turtles lay their eggs. Unfortunately, it was not the season for it but we had a great deal of luck and managed to see an enormous (around 1.2 m high) female green sea turtle hatch. It was in the night, so we were allowed to use the red light only (supposedly the turtles don’t see it and don’t get startled by the human presence) and it was hard to see any details. 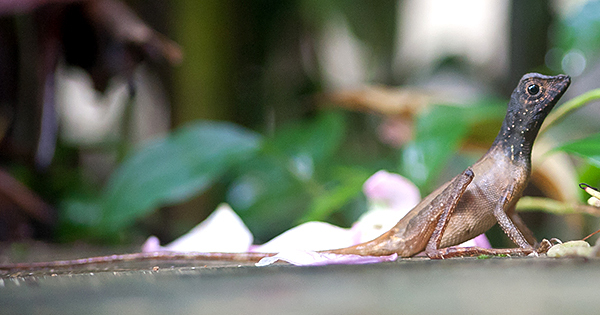 It takes around an hour for the female to lay her eggs, during which she makes panting sounds which show what an effort it is for her. After that she buried the eggs which took another hour. 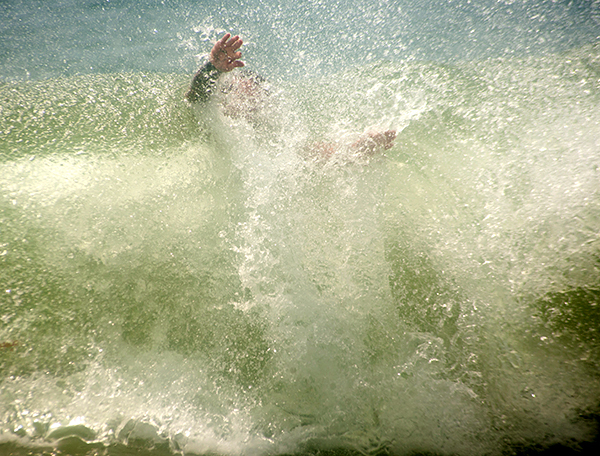 When she was done she came back to the ocean, very tired. It was a very interesting experience. Unfortunately, on the next day we saw an Asian water monitor who ate all the eggs hatched with so much effort ... Not far from the beach you could find boggy meadows where we could observe lots of beautiful water birds and others that live close to water - beautiful grey-headed swamphens, purple herons, kingfishers and many others. 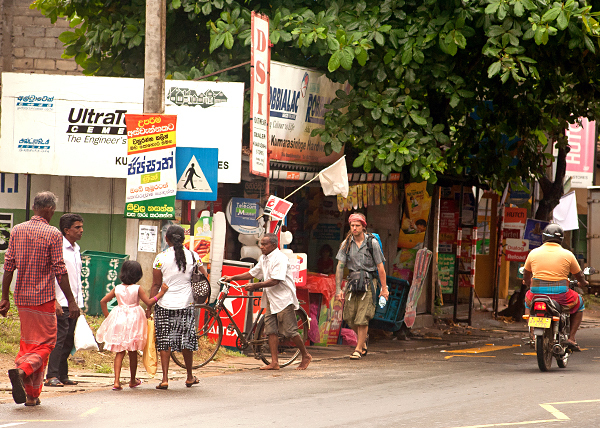 From Mirissa we drove to Rekawa. Rekawa town. A. Bryja photo. In Rekawa. M. Komorowski photo. 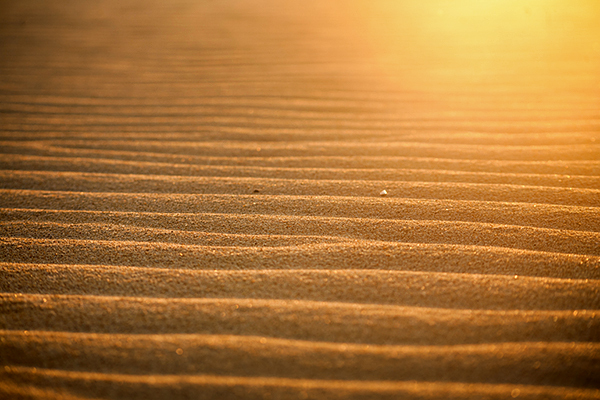 Rekawa beach. A. Bryja photo. 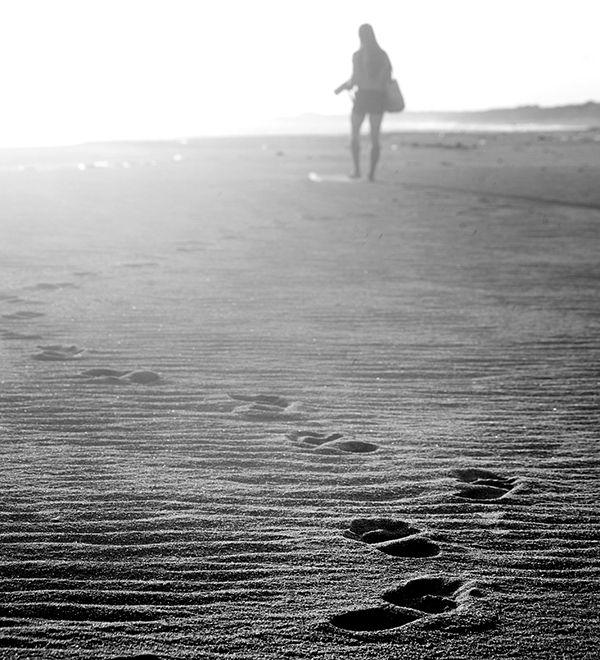 Ania on the beach. M. Komorowski photo. 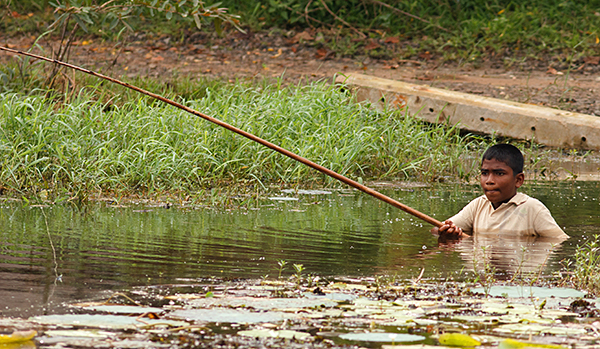 Fishing - who needs the pier. M. Komorowski photo. 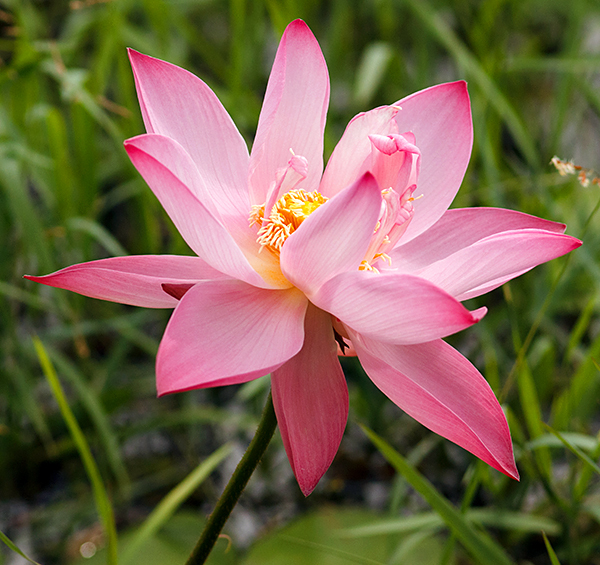 Nelumbo nucifera, Rekawa. M. Komorowski photo. 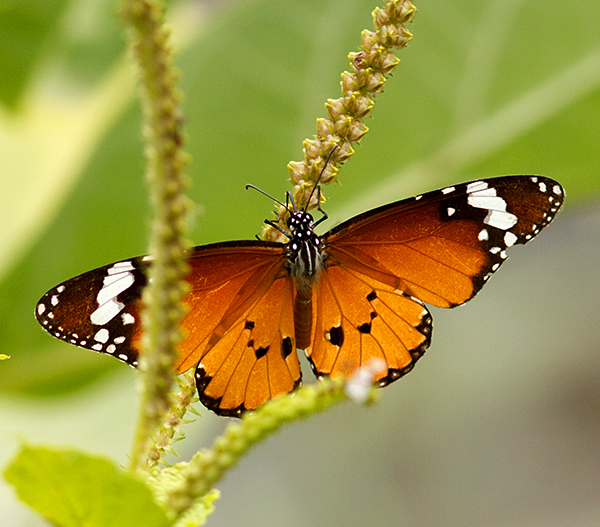 Plain tiger, Rekawa. M. Komorowski photo. 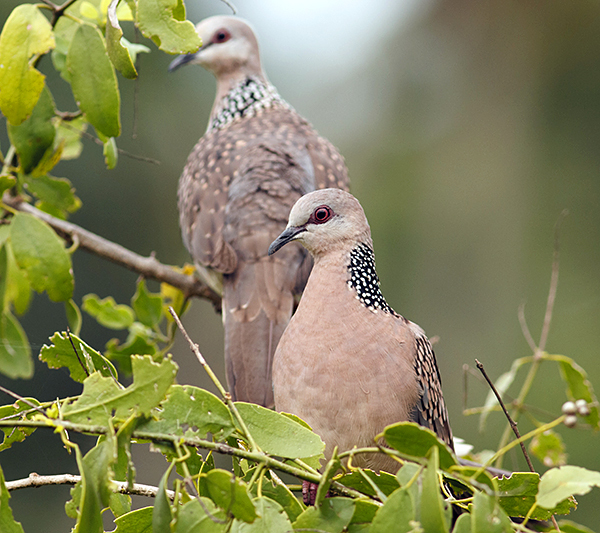 Spotted dove, Rekawa. M. Komorowski photo. 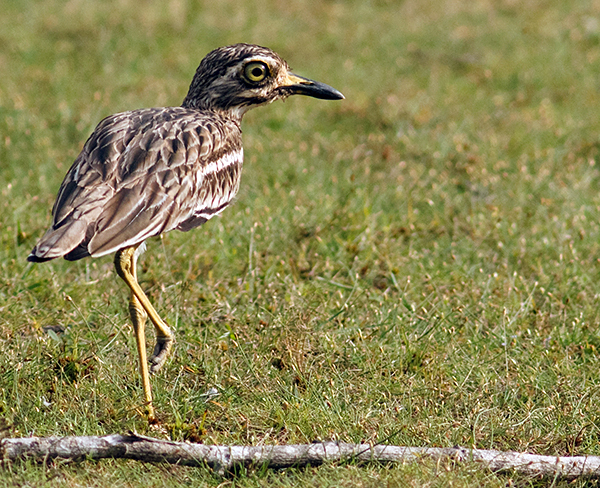 Stone Curlew, Rekawa. M. Komorowski photo. 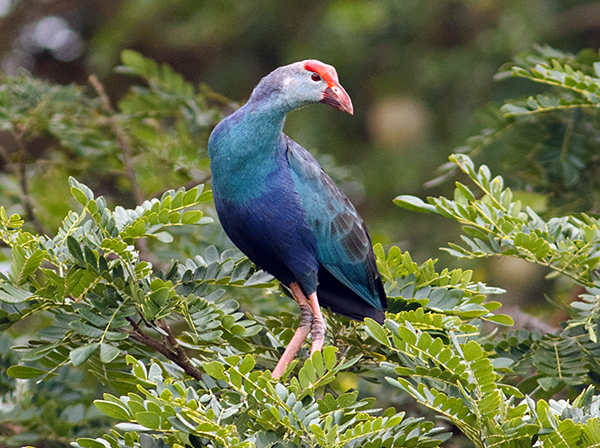 Purple coot, Rekawa. M. Komorowski photo. 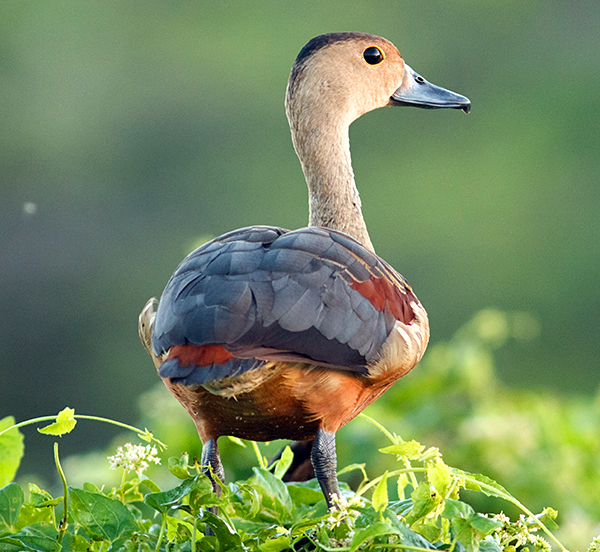 Lesser whistling duck, Rekawa. A. Bryja photo. Rose-ringed parakeet, Rekawa. M. Komorowski photo. Red-backed woodpecker, Rekawa. M. Komorowski photo. 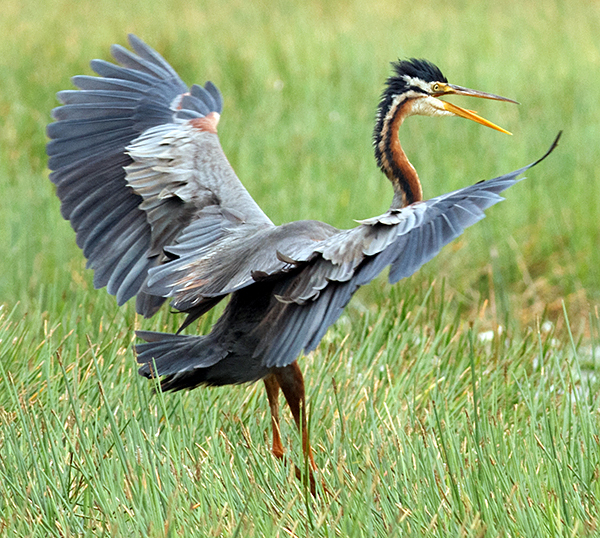 Purple heron, Rekawa. M. Komorowski photo. Asian water monitor, Rekawa. M. Komorowski photo. 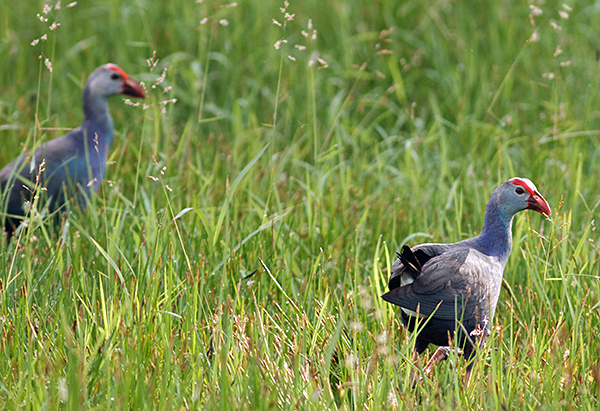 The next place we visited was Bundala National Park located in the south-east part of the country, which is almost entirely a bog. 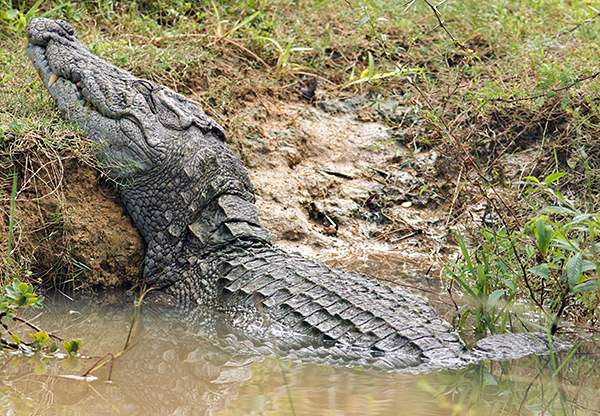 It’s a place mainly for bird observers and crocodile fans. There is a lot of both. Bundala - our next stop. Bundala National Park. A. Bryja photo. 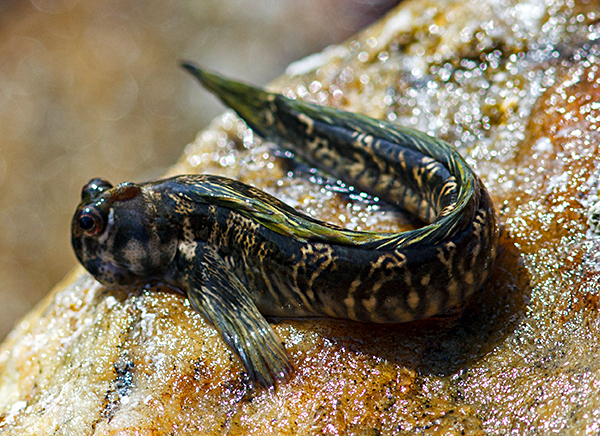 Atlantic mudskipper, Bundala Park. M. Komorowski photo. 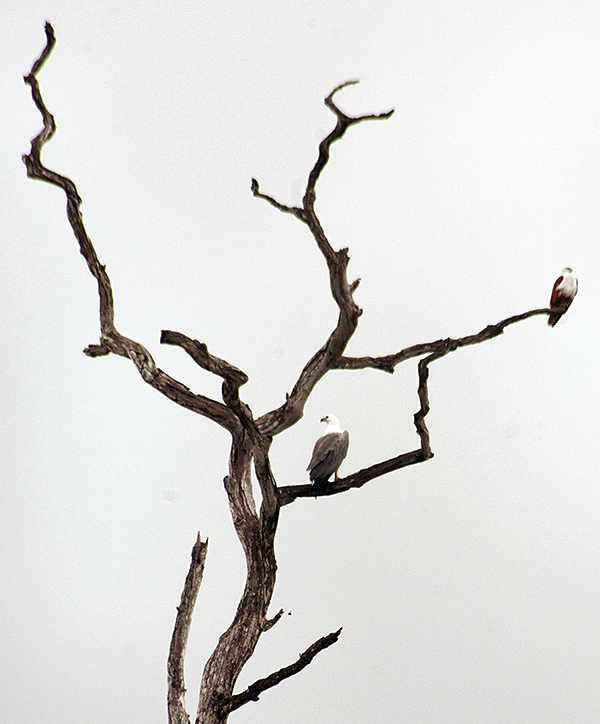 In Bundala National Park. A. Bryja photo. 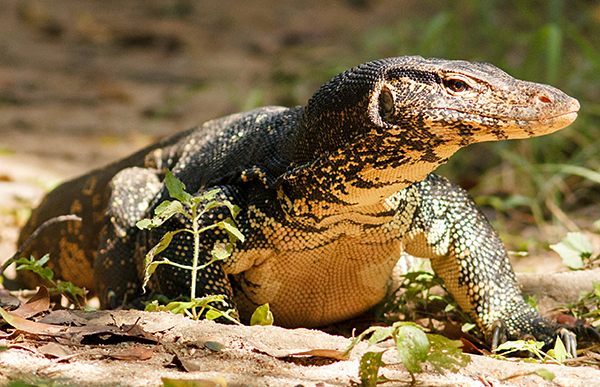 Asian water monitor, Bundala Park. M. Komorowski photo. In Bundala Park. A. Bryja photo. 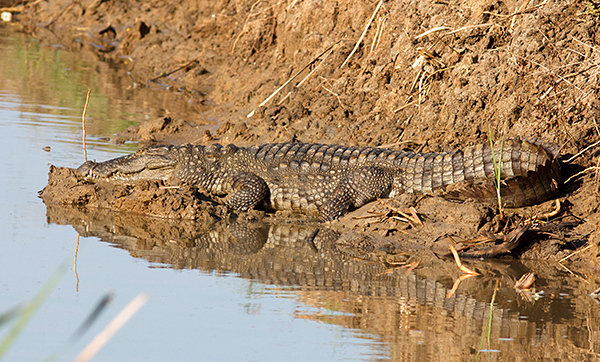 Mugger crocodile, Bundala Park. M. Komorowski photo. 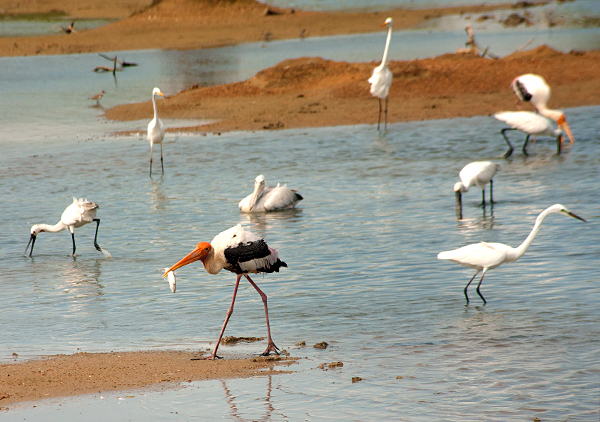 Painted Stork hunting for fishes. A. Bryja photo. 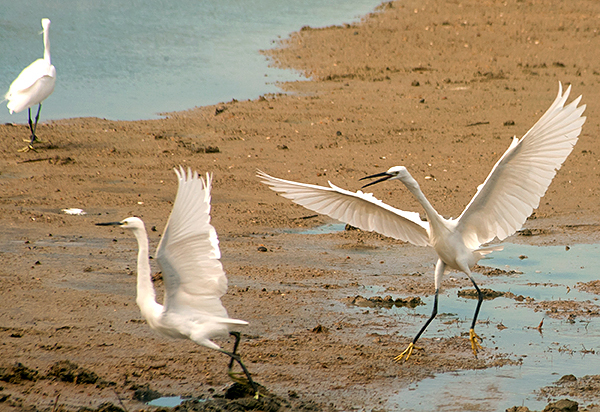 Little Egret, Bundala Park. A. Bryja photo. Spoonbill, Bundala Park. M. Komorowski photo. 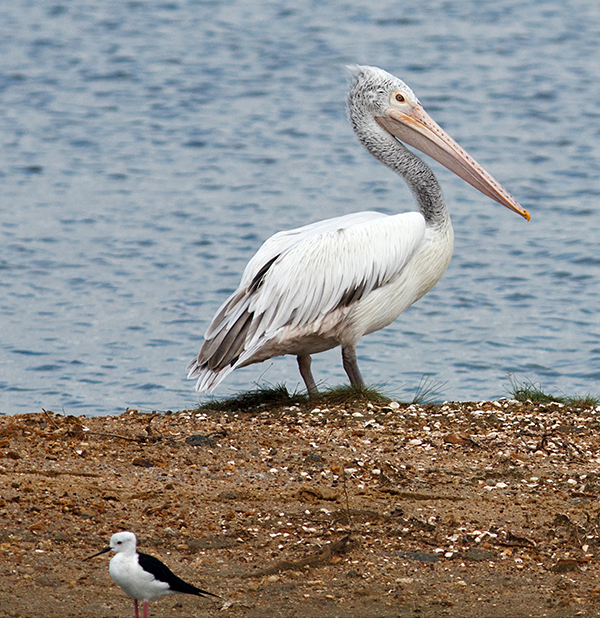 Spot-billed pelican, Bundala Park. M. Komorowski photo. 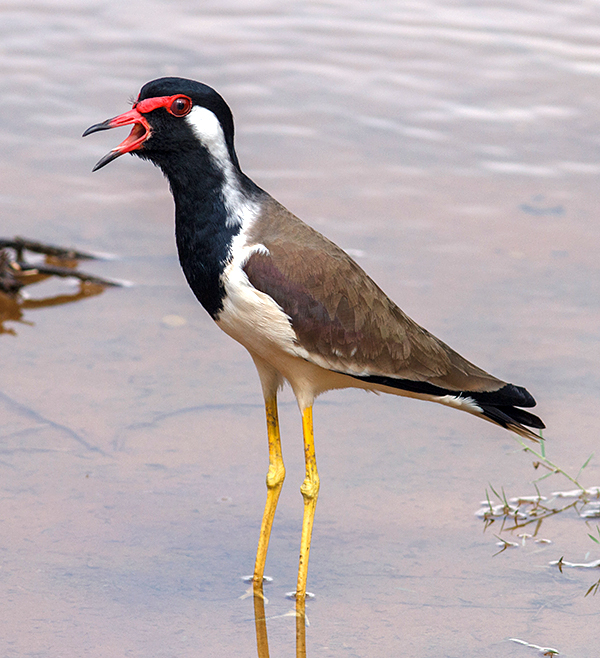 Red-wattled lapwing, Bundala Park. M. Komorowski photo. 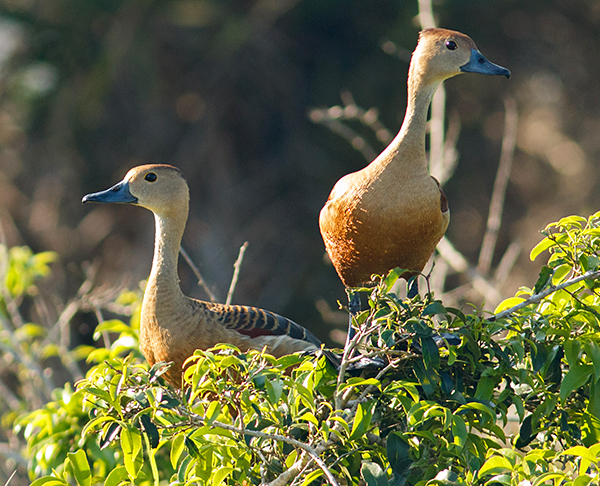 Lesser whistling duck, Bundala Park. M. Komorowski photo. 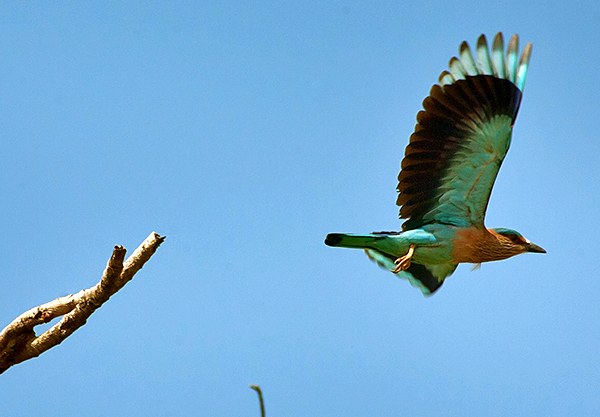 Indian Roller, Bundala Park. A. Bryja photo. 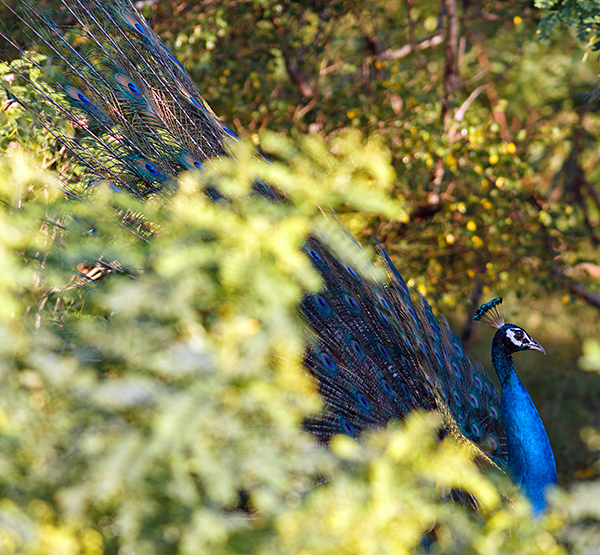 Indian peafowl, Bundala Park. M. Komorowski photo. 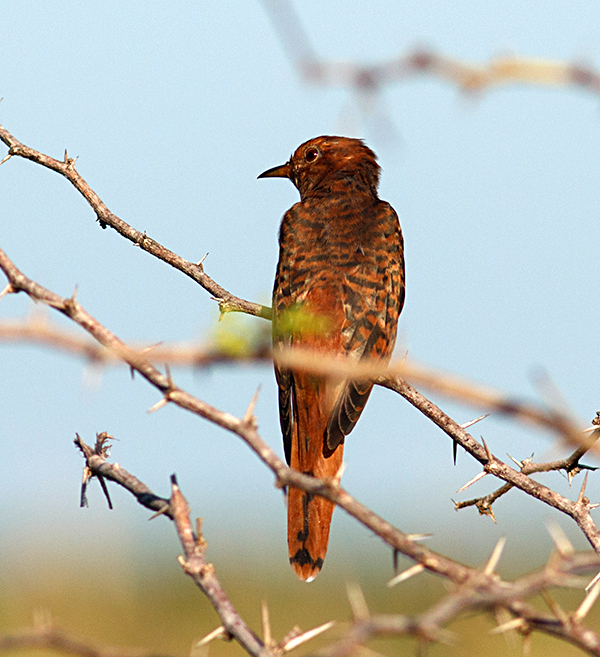 Indian plaintive cuckoo, Bundala Park. M. Komorowski photo. 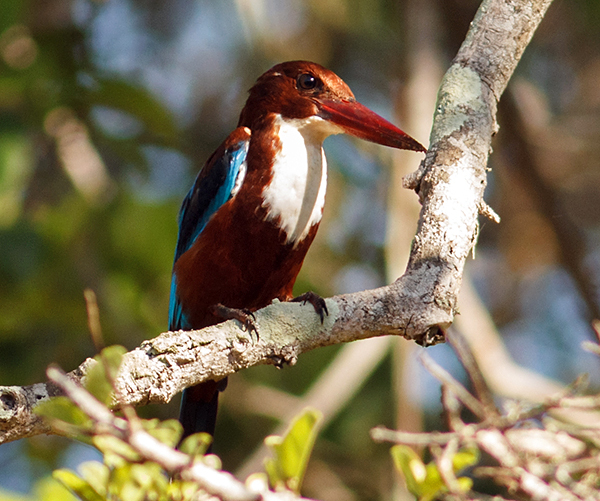 White-breasted kingfisher, Bundala Park. M. Komorowski photo. 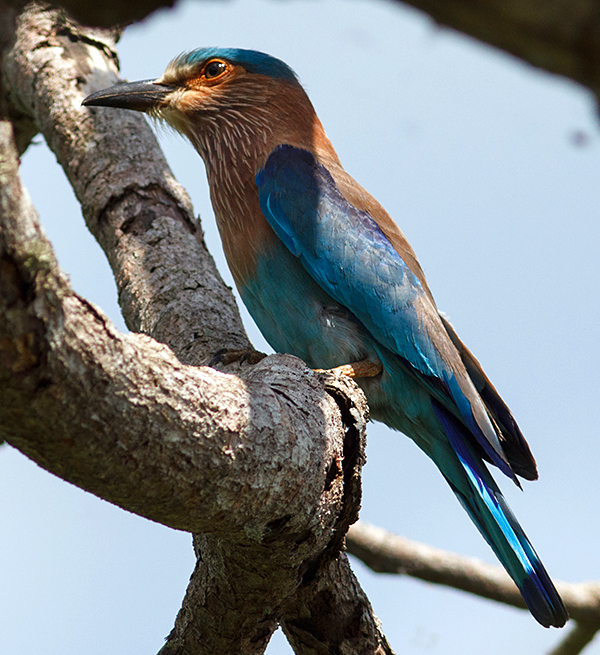 Indian roller, Bundala Park. M. Komorowski photo. 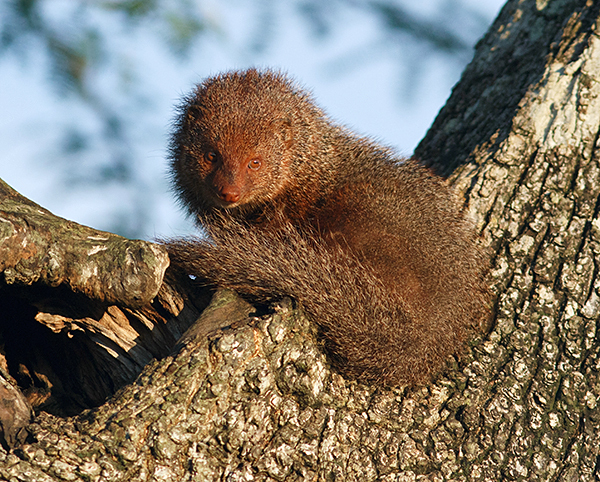 Ruddy mongoose, Bundala Park. M. Komorowski photo. 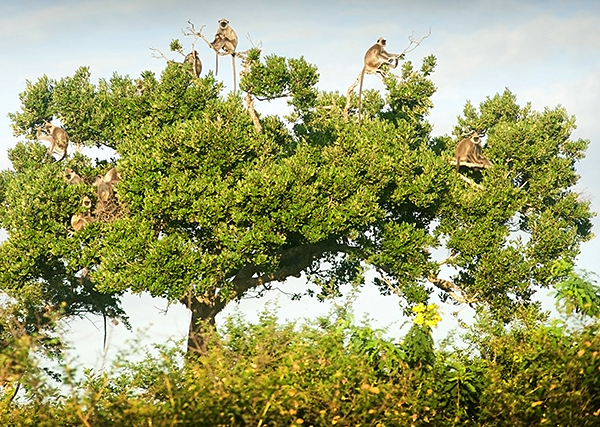 Tufted gray langurs on the tree in Bundala National Park. A. Bryja photo. 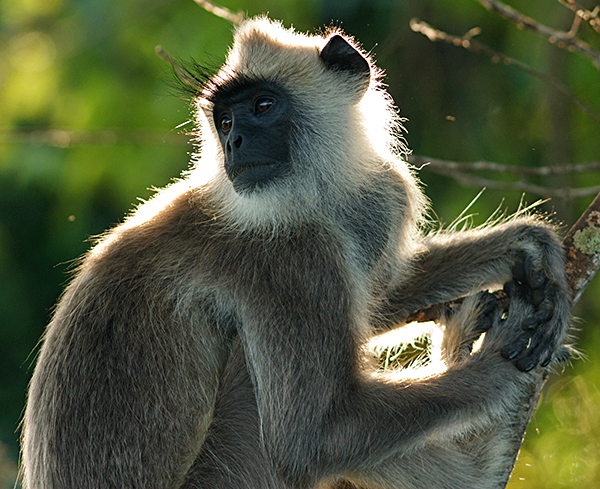 Tufted gray langur, Bundala Park. A. Bryja photo. 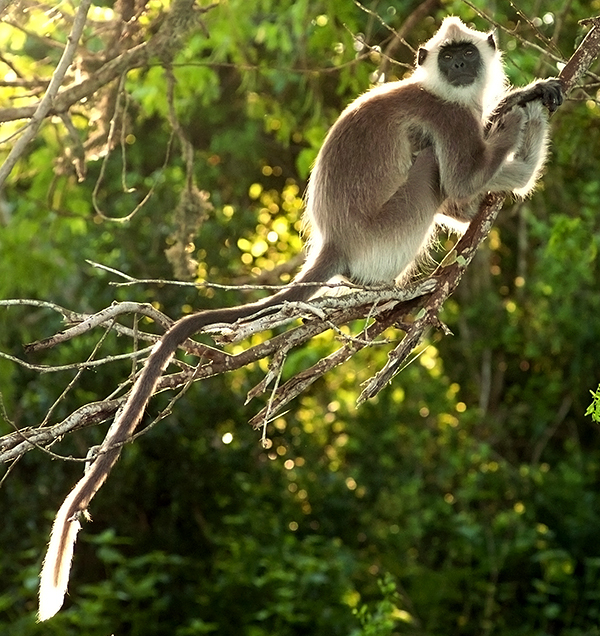 Tufted gray langur, Bundala Park. M. Komorowski photo. After visiting the Park, we decided to take a bit of a rest and spend at least half a day swimming in the ocean. We came to an awful Kirinda city, full of tourists (as there is a popular temple at the ocean coast nearby). Fortunately, around a kilometer from this place we encountered a guest house where there were only a few people and we left to find a proper beach. 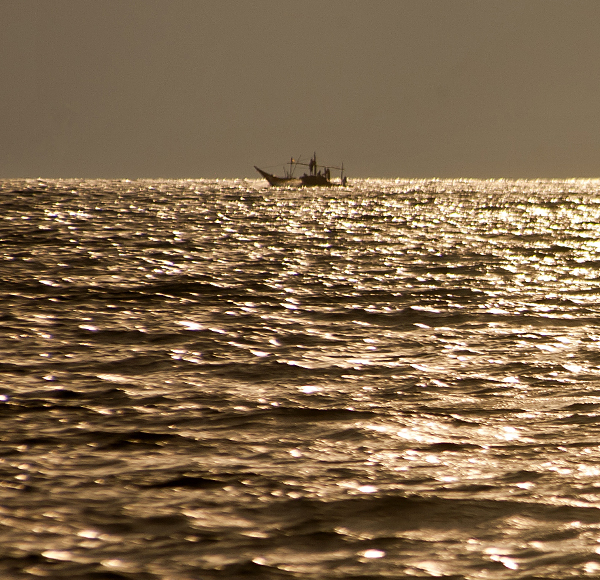 After walking for a few hundred meters along the coast we reached a beach where we saw only two fishermen during a few hours we spent there. 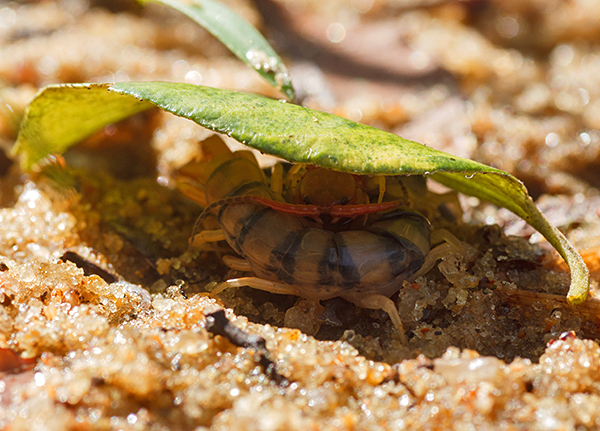 The next night while sleeping I got stung a few times by a scolopendra which isn’t a very pleasant feeling. It got inside my sleeping bag somehow and when I was turning I would squeeze it, so it tried to defend itself. Only after a fourth time I realized it was not a dream and I removed the uninvited guest from my bed. It was at that moment that the pain got to me. 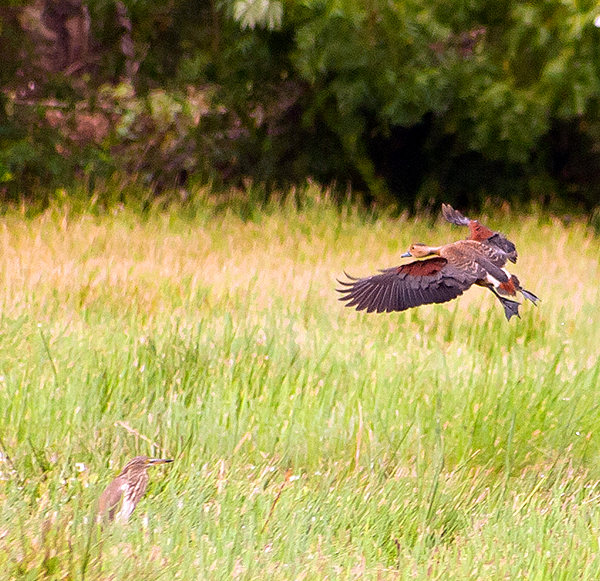 Fortunately, it disappeared in the morning and the creature was already in the forest, hopefully far away from me. From Bundala Park we drove to an ugly Kirinda city, but soon we ran out from there to look for a peacefull beach to rest. In Kirinda. M. Komorowski photo. 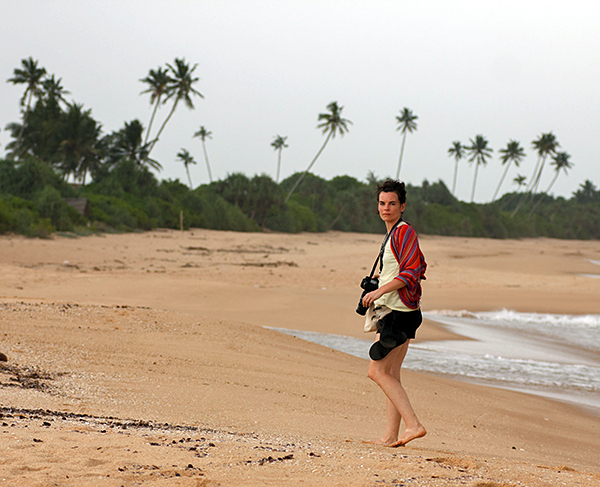 Beach close to Kirinda. A. Bryja photo. Getting some rest in the ocean. A. Bryja photo. 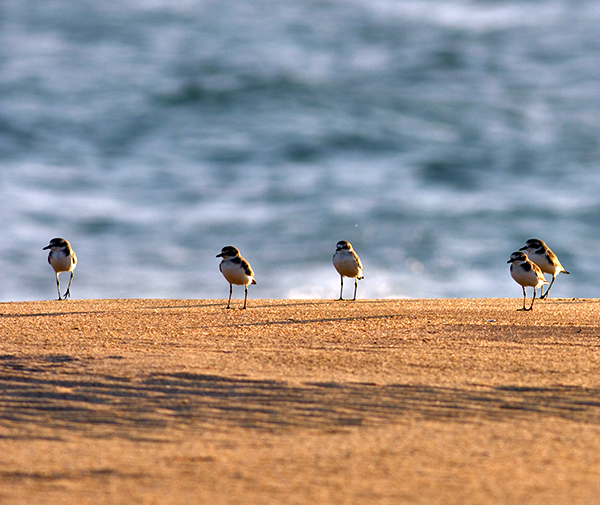 Lesser sand plover, near Kirinda. M. Komorowski photo. 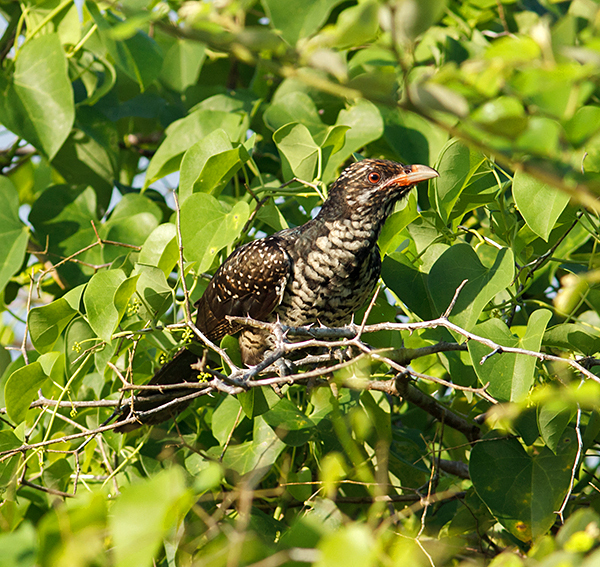 Indian koel. 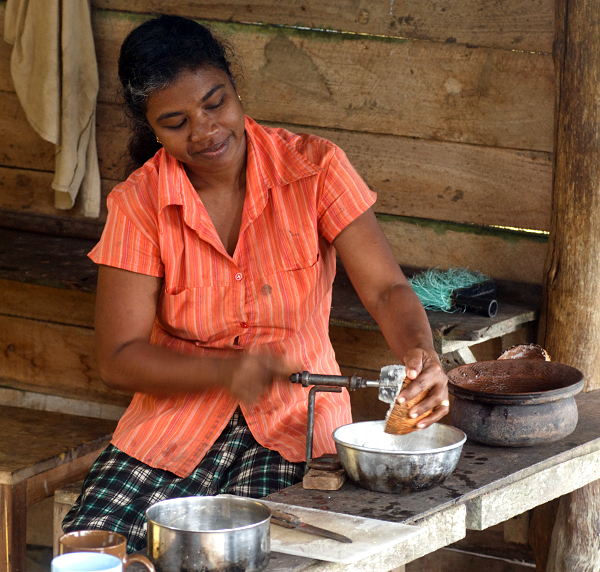 Kirinda. M. Komorowski photo. 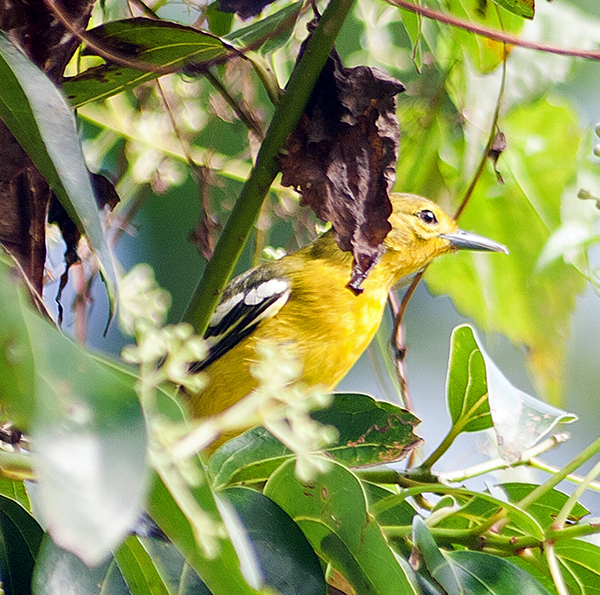 Common iora, Kirinda. A. Bryja photo. 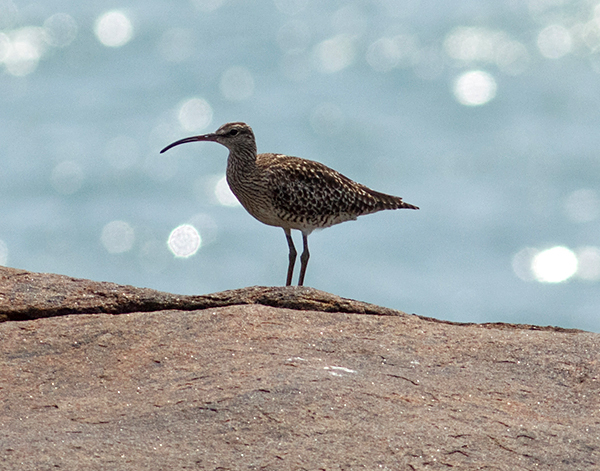 Whimbrel, near Kirinda. M. Komorowski photo. 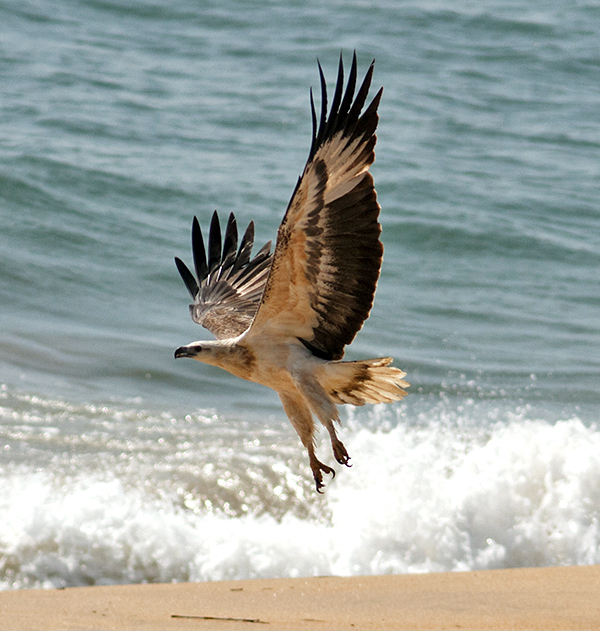 White-bellied sea eagle, near Kirinda. M. Komorowski photo.